↑ Miller, Barbara Stoler (1977). 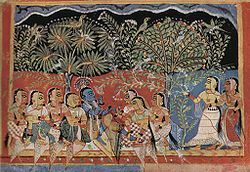 Love song of the dark lord: Jayadeva's Gitagovinda. Columbia University Press.